Whenever I meet with a potential client, I always ask a critical question: what is your goal for my legal representation? In other words, if I take your case, what do you want to get out it? This question is especially important for foreclosure defense. As I tell all potential clients involved in foreclosure, no one gets a free home from fighting a foreclosure. While a successful legal challenge can prevent or undo a foreclosure that is not compliant with the law, nothing prevents a lender from simply starting the process again. With this in mind, the goal of foreclosure defense should always be a permanent resolution to the problem . . . not a temporary fix. Here, I want to share three stories of how I have been able to help Massachusetts homeowners with preventing foreclosure. To protect privacy, I have changed each client’s name and location, but the underlining facts of each case are the same. Meet Matt. Matt owned a two-family home in Saugus that was foreclosed in 2016. While he tried for years to work with his lender to avoid foreclosure, the loan servicer kept losing his loan modification applications and giving him excuses about why he didn’t qualify for foreclosure relief assistance. After foreclosure, the bank brought a post-foreclosure eviction case against him, at which time he retained me. I challenged the bank’s case against him by arguing that it never served him with a proper notice to quit, and failed to provide him notice that he did qualify for a loan modification. The Court agreed that Matt never received the proper notice, which forced the bank to start the eviction case all over again. In the end, we were able to negotiate a favorable loan modification for Matt, and a rescission (“undoing”) of the foreclosure sale! Meet Tom. Tom inherited his parents’ home in Jamaica Plain several years ago, which had a past-due mortgage loan on it. Tom tried, repeatedly, to work with the lender to take over the loan and make these payments. Incredibly, the lender, at one point, outright refused to accept Tom’s payments towards the loan. Tom retained me a month before the scheduled foreclosure sale, and I filed a lawsuit to stop the sale and for damages from the bank’s unfair and deceptive business practices. I succeeded in stopping the sale, and then began working with the bank to reach a settlement for this matter. Tom was in a unique situation: he was fighting a foreclosure against a mortgage loan that wasn’t his. While he owned the home, the loan was from his deceased parents. I had Tom speak to several other mortgage lenders, and got him approved for financing. I then negotiated with the bank to accept a lower amount of the total owed debt, which the bank agreed to (at an amount far less than the home’s fair market value). Not only did Tom avoid foreclosure, this deal put instant equity into his home! Meet Jane. Jane owned a home in Beverly and was behind on her mortgage loan, due to lost employment. Jane was in the process of applying for a loan modification when her lender foreclosed, despite promising it would not do so. Jane hired me to see what could be done. After we reviewed her options, we agreed that her best option wasn’t to keep the home, but rather, to sell it. The home was in a good neighborhood and would sell at a great price. Since the foreclosure had already happened, I filed a lawsuit and requested an emergency court order to prevent the bank from selling the home again, which the Court granted. In the end, we reached a deal where the bank agreed to reverse the foreclosure and allow Jane to sell the home, which she did. Jane not only avoided foreclosure, but was able to recover significant equity from her home . . . money that would have been lost if the foreclosure had gone through. If you need assistance with preventing foreclosure, contact me for a consultation. In this blog post, I want to discuss the options available to stop foreclosure in Massachusetts. Massachusetts is a non-judicial foreclosure state, meaning that a bank does not need to go to court to foreclose a home. Instead, a bank can foreclose through sending a number of required notices to the homeowner and publishing these notices in a local newspaper. As such, the options for stopping a foreclosure are not as apparent as they would be if the matter occurred in a court case (such as the eviction process required against tenants). 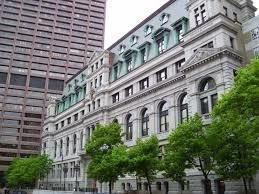 Fortunately, homeowners do have options available to stop foreclosure in Massachusetts. A homeowner’s first option to stop foreclosure is applying for a loan modification. A loan modification is a restructuring of a mortgage loan to make the payments more affordable for the homeowner. Federal law often requires banks to stop foreclosure after a borrower applies for a loan modification, and many banks (allegedly) have policies that put foreclosure sales on hold while an application is under review. A common misconception among many homeowners is that any submitted loan modification application will stop foreclosure. This is not correct. While a loan modification application submitted well in advance of a foreclosure sale will generally put a foreclosure on hold, a bank will not necessarily stop foreclosure if it receives a application close to a scheduled foreclosure sale. Moreover, many banks, who are overwhelmed with loan modification applications and understaffed, sometimes “forget” to stop a foreclosure sale, even after telling the homeowner they would do so. If you apply for a loan modification, you should confirm with the bank that no foreclosure sale is pending, and try to get this in writing. Moreover, you should closely watch the situation to make sure a foreclosure sale is not scheduled. If you have reason to believe a foreclosure is going to occur, read on for the other options to stop foreclosure. Another option to stop foreclosure is to file bankruptcy. Bankruptcy puts an automatic stay on all actions by creditors, including foreclosure. I am not a bankruptcy lawyer, so you should speak to an experienced professional in this area of law to decide if this option is right for you. If a homeowner is unable to stop foreclosure on their own, it is time to speak with a foreclosure defense attorney. An experienced attorney can determine whether there are legal options available for requesting a court order to stop foreclosure. An attorney may be able to obtain a preliminary injunction from a court, which is a court order preventing a bank from foreclosing while the lawsuit proceeds. If you find yourself in need of assistance with such a matter, contact me for a consultation. Foreclosure help can be essential for homeowners attempting to avoid foreclosure and save their homes. One of the biggest mistakes homeowners make is waiting too long to get assistance with this stressful process. When should homeowners seek foreclosure help? Foreclosure defense is not about getting a free home; foreclosure defense is about getting an affordable loan payment. A loan modification is the general way to obtain this relief from a mortgage lender. Applying for a loan modification, however, can be a complex process, requiring enormous paperwork and follow-up phone calls with the loan servicer. A homeowner does not need a lawyer or other professional to help with this process. However, if a homeowner does it on their own, they need to keep up with the paperwork requirements and do the application correctly. If the homeowner does not have the time or interest in preparing an application, they should absolutely get the help of a reputable professional for this process. The Massachusetts Attorney General’s Office is one good resource for seeking such assistance, and there are other non-profit organizations around the state who similarly help with loan modification applications. If a homeowner is having trouble with a loan modification application, foreclosure help is a must. Often, a lender’s repeated failure to properly review one of these applications, by “losing” paperwork and coming up with bogus reasons for denial, can be grounds for legal action. 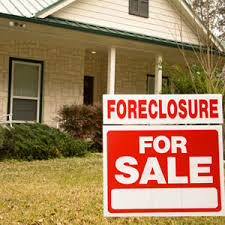 A homeowner with a imminent foreclosure sale date should likewise obtain foreclosure help, mainly through an attorney. An attorney can help a homeowner understand options available for stopping a foreclosure and see if a permanent resolution to the problem can be reached. In my opinion, foreclosure help is an absolute must for any homeowner who has already been foreclosed. A foreclosure defense attorney can help a former homeowner determine if there are grounds to rescind or buy back the foreclosed property. Even if the homeowner has no interest in staying in the home, an attorney can be incredibly helpful in ensuring that the homeowner’s rights are protected, and avoiding an additional liability. If you find yourself in need of foreclosure help, contact me for a consultation. I’m pleased to announced that I prevailed today in bringing a lawsuit against a national lender for the denial of a loan modification. The court rejected the lender’s argument that the lawsuit should be dismissed, allowing the lawsuit to go forward as planned. In this lawsuit, I am seeking damages against a lender whose two year refusal to properly review my client’s loan modification application forced him into foreclosure. A loan modification is the restructuring of a mortgage loan to make the payments more affordable. This generally consists of a combination of a lowered interest rate, term extension, and principle forbearance. To apply for a loan modification, a borrower must generally prove they have sufficient income to afford a modified loan payment. Lenders generally want borrowers to provide bank account statements, tax returns, and a variety of other documents about the need for this assistance. Despite loan modifications being intended to help homeowners, the process of applying for this assistance is often a mess. It is not uncommon for lenders to “lose” paperwork and required the repeated submission of the same documents over and over again. Mortgage lenders have been known to deny loan modifications for reasons that do not make the slightest bit of sense. What Can Be Done After a Denial of a Loan Modification? In Massachusetts, like most of the country, a lender is not required to offer a homeowner a loan modification. As such, a homeowner generally does not have a viable claim against a lender merely because their modification application has been denied. 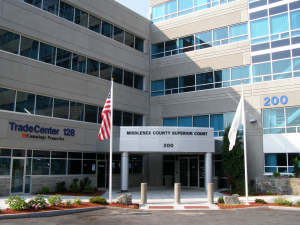 Massachusetts courts, however, do allow lawsuits to be brought under the Consumer Protection Law under certain circumstances involving the denial of a loan modification. The Consumer Protection Law, commonly known as Chapter 93A, prohibits “unfair and deceptive business practices.” Massachusetts courts have taken the positions that repeated instances of misconduct by a lender in the denial of a loan modification can constitute a Consumer Protection Law claim. This is the key, however: the borrower must alleged more than simply that their application was denied. Rather, the borrower must show, as one court puts it, a “pattern or course of conduct involving misrepresentations, delay, and evasiveness” in reviewing a loan modification application. The Consumer Protection Law can be a powerful weapon for consumers facing the denial of a loan modification. This law, in certain circumstances, can allow for attorney fees, treble damages, and costs if the court find in the borrower’s favor. In addition to money, the law also provides for equitable relief, which is a remedy other than money, such as a court order rescinding a foreclosure sale. If your find yourself struggling with the denial of a loan modification, contact me to see if you have a similarly viable lawsuit against your lender. While there are many dedicated professionals committed to helping struggling homeowners avoid foreclosure, the unfortunate reality is that the foreclosure crisis has its share of con artists. Too often, I have met with homeowners who have come to me after having been scammed by an alleged business claiming to help avoid foreclosure. These scams require homeowners to pay a large sum of money upfront and give the alleged “business” permission to speak with their financial institution. These scammers do nothing to help the homeowner, leaving them to face foreclosure despite having spent money for purported foreclosure defense services. A strong indication of a foreclosure scam is when the alleged business tells the homeowner to send them their monthly mortgage payments, and claims it will then forward the money to the financial institution as part of a loan modification. Last month, a Lowell man was convicted of such a scheme, showing that such fraud remains prevalent as the foreclosure crisis continues. How should homeowners beware of foreclosure scams? Research any business, non-profit, or attorney who you are considering hiring for your case. If you can’t find a reputable website, location of a physical office, or any indication that the service has been in operation for a while, proceed with caution. Stay clear of any business, non-profit, or attorney who requests that you make mortgage payments directly towards them. There is no reason why loan payments should go anywhere besides directly to your financial institution. As the old adage goes: if it sounds too good to be true, it probably is. If the purported foreclosure defense service guarantees to get you a free home or permanently avoid foreclosure, strongly considering speaking with a reputable professional. If you find yourself in need of assistance with foreclosure, contact me for a consultation. Too much is at stake to take chances with a fraudulent foreclosure defense service. The Massachusetts Appeals Court issued an important decision last week concerning a homeowner’s legal rights following a loan modification. In Barrasso v. New Century Mortgage Corporation, the Appeals Court held that a homeowner was unable to raise prior claims related to their mortgage loan after accepting a modification of that loan (a copy of the decision is below). In Barrasso, the homeowner entered into a loan modification with their lender, for the purpose of making the loan payments more affordable. Years later, the homeowner brought a lawsuit against the lender, challenging several of the mortgage loan assignments and whether the present holder of the mortgage was the proper holder of the loan. Barrasso held that the homeowner was estopped from challenging the transfer of his mortgage due to the homeowner’s signing of this loan modification. Estoppel is a legal defense that prevents a party from making an allegation or defense that contradicts a prior representation. The loan modification in Barrasso, like most loan modification agreements, required the homeowner to agree to several factual representations about the mortgage loan, namely, who held the mortgage. The Court reasoned that, because the homeowner benefited from this loan modification agreement, it could not then deny one of the prior statements in this agreement that it had agreed to: who the owner of the mortgage was. Barrasso follows a line of reasoning that I have often taken with loan modifications: the signing of one of these agreements generally waives any prior legal claims associated with the loan. A loan modification, in essence, is a new loan, with new terms and conditions. If a homeowner had legal claims arising from the original loan (such as predatory lending), the homeowner probably won’t be able to raise them following a loan modification. As explained by Barrasso, if a homeowner gets the benefits of a loan modification, it can’t then go back and raise matters that arose before the modification. Some loan modification agreements, such as those coming from the federal Home Affordable Modification Program (“HAMP”), do not require a homeowner to waive any legal rights against a lender. Barrasso makes clear, however, that a loan modification has strong implications for one’s legal rights following one of these agreements. Homeowners should keep this in mind when considering accepting a loan modification: homeowners generally won’t be able to raise claims arising out of the prior loan. Barrasso should not scare homeowners away from accepting a loan modification. Loan modifications are the best means of avoiding foreclosure, and a homeowner should absolutely accept a modification with an affordable loan payment. The key is to make sure that such a modification is right for the homeowner. If you find yourself in such a scenario, contact me for a consultation. The final deadline for HAMP (“Home Affordable Modification Program”) is rapidly approaching: applications for this federal program are due December 30, 2016. HAMP is a federal program aimed at helping struggling homeowners avoid foreclosure. Eligible homeowners can obtain a loan modification through a combination of an interest rate reduction, term extension, and principle forbearance. Applying for HAMP requires proof of income, a variety of tax and financial documents, and a hardship affidavit (showing a reason why the homeowner cannot make their normal loan payments). HAMP, to say the least, has been a nightmare: servicers routinely lose paperwork, delay reviewing modifications, and deny applications for false and ambiguous reasons. Despite its shortfalls, HAMP remains one of the best options for homeowners trying to avoid foreclosure. With this in mind, homeowners in need of loss mitigation assistance should make a note of the deadline for HAMP and submit an application as quickly as possible. The deadline for HAMP has been extended in the past and I wouldn’t be surprised if that happens again. However, homeowners should assume that it won’t be extended, and get prepared to submit an application well before the December 30, 2016 deadline. Don’t procrastinate! A HAMP application requires an enormous amount of time and collection of documents. You do not want a loan servicer to deny your application on the grounds that your application was not submitted in time (a reason for denial that, unfortunately, I see occurring for many homeowners who will apply at the end of the year). When applying for HAMP (or any other loan modification program), be sure to keep a paper trail of your application process. If you find yourself not getting the results you need, contact a foreclosure defense attorney for assistance. The Massachusetts Appeals Court issued an important decision last week in Santos v. U.S. Bank (full decision below) regarding a loan modification denial. The Court rejected the borrower’s negligence claim, but acknowledge that other grounds exist for fighting a loan modification denial. (Disclaimer: I was involved briefly in both the trial court and appeal of this case). In Santos, the homeowner was denied a loan modification under the Home Affordable Modification Program (“HAMP”), a federal program that encourages servicers to give struggling homeowners a loan modification. HAMP, by all accounts, has been a mess: servicers routinely “loose” required paperwork for these applications, deny borrowers for baseless reasons, and stall the process as long as possible. The failure to properly review these applications, in my opinion, is a major reason for thw continued foreclosure crisis across the country. After being denied a loan modification, the homeowner in Santos sued the servicer on a claim of negligence: a cause of action against someone for failure to take proper care in doing something (negligence claims are often raised in personal injury cases). One of the required elements for a negligence claim is that the opposing party have a duty of care to the claimant. In Santos, the Appeals Court rejected the borrower’s lawsuit because the Court determined that the loan servicer owed no duty of care to the borrower for reviewing his loan modification (despite being a participant in the HAMP program). Because the servicer owed no duty to the borrower, the borrower in Santos was not permitted to pursue a negligence claim. The Appeals Court did, however, acknowledge that other grounds could be used for fighting a loan modification denial, such as a Consumer Protection Law (“Chapter 93A”) claim. To bring such a claim, however, the borrower needs to do more than merely alleged that the servicer failed to follow the HAMP guidelines but instead, that the servicer committed unfair and deceptive business practices (a higher burden than negligence). Santos illustrates a strange paradox in foreclosure defense: participating loan services in the HAMP program are required to consider homeowners for loan modifications, but failure to properly review a modification application, by itself, will not provide a homeowner with their “day in court” on these matters. This occurrence is frustrating for homeowners (and foreclosure defense attorneys!) who see that an applicant is entitled to a loan modification, but may not necessarily have a legal cause of action on this important matter. Santos also discussed another important legal question: whether homeowners can “split” foreclosure defenses in different cases. The Court ruled on the homeowner’s attempt to pursue a foreclosure defense that he had an opportunity to do in the prior, post-foreclosure eviction case (the homeowner filed this case after being evicted from the home). The Court ruled that res judicata, a legal defense preventing a party from raising claims in multiple cases, barred the homeowner’s later attempt to pursue this defense. A homeowner, simply put, gets “one bite at the apple” in fighting a foreclosure. If a homeowner does not raise a foreclosure defense in their legal case, they run the risk of losing it forever. So, what are the take home lessons from Santos? Pursuing a case for a loan modification denial requires a showing of a pattern of abuse by the lender in reviewing an application. Homeowners pursuing a loan modification should always, always keep a paper trail on their application attempts to help build such a case if a lawsuit becomes necessary. A successful foreclosure defense requires a homeowner to pursue all of their potential claims in a lawsuit, or risk losing them down the road. This often becomes an issue for homeowners who attempt to represent themselves in court, fail to raise important defenses, and find themselves with limited options if their initial lawsuit is unsuccessful: a reason why such claimants should speak with a foreclosure defense attorney to discuss their options. I write often about loan modifications, but I’ve had many clients ask me what is a loan modification, and how does it compare to a loan refinance. It is an important topic, as loan modifications are essential for foreclosure defense. Capitalization is where the lender adds the unpaid arrearage of the loan to the mortgage debt. Through capitalization, the lender adds these unpaid expenses to the principle of the loan, which the borrower will repay as the part of the entire loan. An interest rate reduction is where the lender decreases the loan’s interest rate, making the monthly loan payments more affordable. HAMP permits a loan’s interest rate to be reduced to a minimum of 2%. Non-HAMP loan modifications generally use the market interest rate (presently between 3% – 4%). A term extension is an increase of the length of the loan. HAMP permits loans to be extended up to forty years. As the length of the loan increases, the monthly payments in turn decrease. A principle forbearance is where a lender agrees to take a large chunk of a loan and put it at the end of the term. A borrower is not required to pay interest on this amount of money, and it only becomes due once the loan term ends or the home is sold. The purpose of a principle forebearance is to make the loan more affordable: while the borrower still owes this money, he or she will not pay interest on this portion of the loan. However, this money ia still owed to a lender. In contrast, under principle forgiveness, the lender agrees to forgive a portion of the loan. Understanding the difference between these two terms is critical in understanding what is a loan modification, as these two options come up often with modifications. HAMP, for example, only allows for principle forbearances, without forgiving any portion of the loan. Non-HAMP modifications, sometimes referred to as “in-house modifications” may be more open to debt forgiveness. I hope this overview is helpful in understanding what is a loan modification. If you find yourself having difficult obtaining a loan modification, contact me for a consultation. As I always tell my clients, a lawyer is not a financial adviser. Homeowners in need of loss mitigation assistance should always speak with a financial and tax adviser for advice on the advantages and consequences of accepting any sort of loan modification.